"It doesn’t take much effort for bungling doctors to escape detection — or this state — with their reputations intact. Massachusetts is one of just three states where the medical board removes the online profiles of physicians who lose or fail to renew their licenses. And it’s one of just four states that deletes disciplinary and malpractice violations from a physician’s profile after 10 years. Some of the law’s other provisions defy logic. For example, the board posts the information when a doctor loses clinical privileges at hospitals only. Yet 80 percent of medicine is practiced in non-hospital settings, such as nursing homes." The piece also calls for the Massachusetts Legislature to "go back to the drawing board" to create a useful online platform worthy of our high-tech culture. "Such information is especially vital in today’s complicated health care world, where plans increasingly ask patients to choose from a limited network of providers." 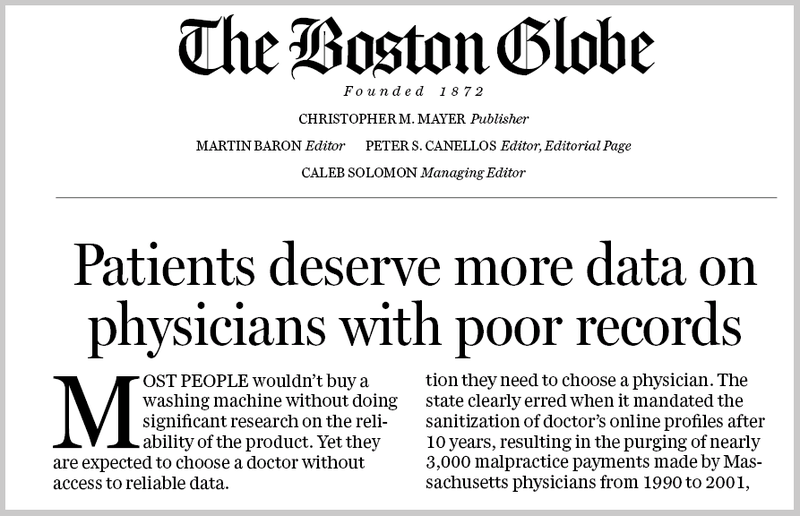 You can access the entire editorial at: Patients deserve more data on physicians with poor records. 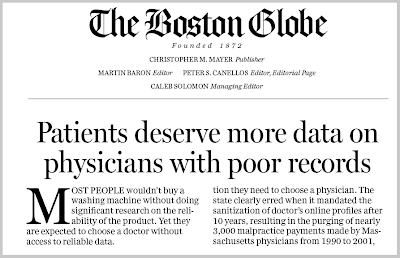 See more background on this issue from Watchdog New England. Learn more at LubinandMeyer.com - Lubin & Meyer PC - New England's Leader in Medical Malpractice and Personal Injury Law. 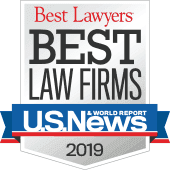 Attorneys licensed and practicing in MA, NH, RI. Call us at 800-866-2889 for a free case evaluation.